Lakeshore Records will release the SONGS OF DEFIANCE SEASON 2 – Original Television Soundtrack digitally on May 26th and on CD June 19, 2015. The album features original songs and performances from the series by Brendan McCreary, Young Beautiful in a Hurry, Raya Yarbrough and Trace Adkins. In the year 2047, it’s a new Earth – with new rules. Over thirty years after various alien races arrived on Earth, the landscape is completely altered, terraformed nearly beyond recognition. The town of Defiance, on what used to be St. Louis, stands as a living example of what happens when humans and aliens live harmoniously (and often, not-so-harmoniously) together. Amongst the town's many residents are former soldier Nolan (Grant Bowler) and his adoptive Irathient daughter, Irisa (Stephanie Leonidas); the former mayor, Amanda Rosewater (Julie Benz); Rafe McCawley (Graham Greene), a powerful miner; the ambitious, alien Tarr family, Datak and Stahma (Tony Curran and Jaime Murray), along with son Alak and human wife Christie (Jesse Rath and Nicole Munoz) Jaime Murray); lawman Tommy (Dewshane Williams) and cantankerous Indogene Doc Yewll (Trinna Keating). With the Earth Republic - the human run governmental organization with questionable motivations - now in control of the town and a new mayor, Niles Pottinger (Jim Murray), at the helm, the fragile peace Defiance has fought for threatens to be undone. Songwriter and powerhouse vocalist Brendan McCreary first broke into the television mainstream providing the powerful and distinctive voice of one of the most iconic rendition’s of Bob Dylan’s “All Along the Watchtower” for the groundbreaking series BATTLESTAR GALACTICA (BSG). Since his work on BSG, he has contributed his musicianship, songwriting and arrangements to various film, television, web-series projects and has worked on numerous collaborations with Emmy®-winning composer Bear McCreary. In addition to his television contributions, he has written, arranged, and produced songs for three feature film productions in the last year - Joe Lynch's action thriller EVERLY (starring Salma Hayek), You Tube sensation’s James Rolfe’s The ANGRY VIDEO GAME NERD: THE MOVIE and horror comedy KNIGHTS OF BADASSDOM (starring Ryan Kwanten, Summer Glau, Peter Dinklage). Brendan’s credits also include crafting the main titles of web-series SHELF LIFE and the international title of Adam Green’s HOLLISTON as well as providing original songs showcased in such popular series as CW’s hit 90210, TERMINATOR: THE SARAH CONNOR CHRONICLES, EUREKA, NBC’s TRAUMA, THE CAPE and HUMAN TARGET. Most recently, Brendan has served as an on-set music director for NBC's CONSTANTINE. In 2014, Brendan launched his own enterprise RemixNoise, a management and production company that provides custom music for film and television. Brendan also tours as a frontman for Johnny Vatos’ Boingo Dance Party with original members of the famous 80s band Oingo Boingo and fronts his own rock band called Young Beautiful in a Hurry. Syfy presents DEFIANCE, which will return for Season 3 on June 12, 2015. 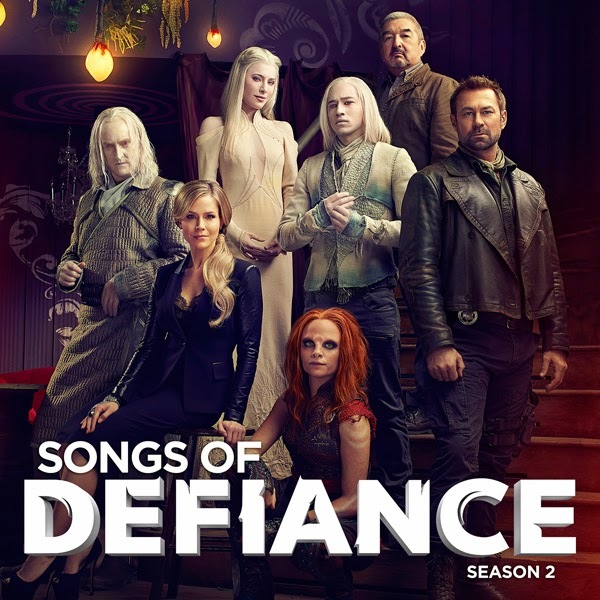 Lakeshore Records will release the SONGS OF DEFIANCE SEASON 2 – Original Television Soundtrack digitally on May 26th and on CD June 19, 2015.